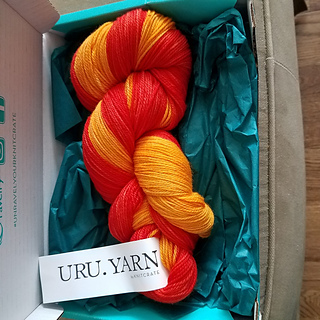 Uru.Yarn’s Heels & Toes is a specially dyed yarn designed to make contrast heel, toe, and cuff socks easy, with only a single skein. Contrast colors are on both ends of the ball, with the main color in the middle, making it easy to divide and conquer two-at-a-time, Magic Loop socks, or to ball up separately for perfectly even ends. Winding with a swift and ball winder is recommended. 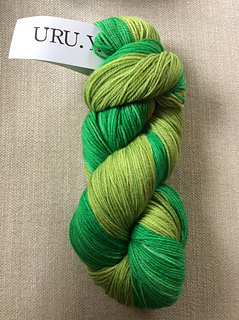 Care: this yarn is Superwash Merino and should not felt easily. We recommend washing in the washing machine on cool and tumble drying on low.